I was never very good at standardized tests. I had good grades in high school, but my PSAT scores were low. When I was a junior in high school, the SATs were looming. I knew I needed a game plan if I wanted to get into a good college. Instead of struggling through it on my own, and continuing to do what wasn’t working for me, my parents sent me to an SAT tutor. (I’m so grateful that my parents were able to afford getting me some support). Getting expert advice was a game-changer for me. My tutor knew this stuff! She knew what I needed to learn and do to improve my score. She taught me strategies and tips. She told me what to study, what to practice, and how to pace myself during the test. She supported me and gave me clear path to follow. And, my scores improved dramatically! Having that expert advice made all the difference. Learning from someone who had done this before, and helped hundreds of others to succeed as well, gave me the direction and support I needed. There are plenty of ways to approach studying for the SATs, but finding and following a proven technique is what got me out of overwhelm, into action, and in the end got me the result I was looking for. Marketing your business can be the same. There are so many things you can do and so many ways to approach it. But it gets much easier with the expert advice of someone who has done it hundreds of times before. And, let’s be real…without someone supporting your marketing efforts, it’s much less likely to happen. Like my studying experience, learning to get clients and market your health coaching business can be overwhelming if you try to go it alone. And without support, you may find it’s simply easier for you to spend your time on other things. Things that don’t bring clients in the door. Expert advice from someone who’s been there can make all the difference when it comes to getting real results from your marketing. Sometimes knowing the order to do things in can be the most overwhelming part of growing your business. There are so many things that you can do, but knowing what’s going to work for you right now is almost impossible without getting expert advice. Having a roadmap means having a clear path forward. It gives you a step-by-step plan to follow, instead of working on scattered tactics that don’t build on each other. You’ve probably been told about a million different things you can do to market your business, but you might not know how to organize or prioritize those things to be the most successful. The ORDER you’re doing these things in is actually very important. I see coaches struggling with their marketing all the time because they’re spending time on strategies that are advanced and designed to work well for someone who’s been in business longer. If you’re in this situation, you probably feel like you’re spinning your wheels. 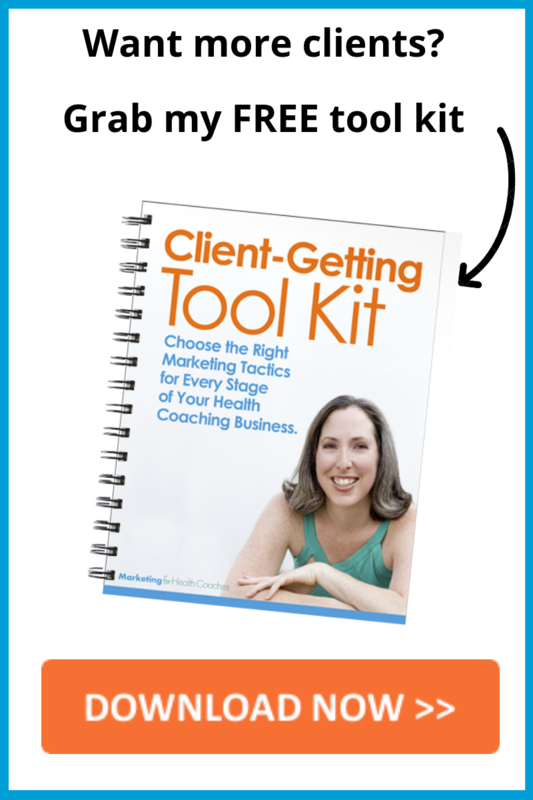 You’re trying lots of different ways to market your business and you feel like you’re constantly working, but you’re not seeing results or getting clients. Even though you’re putting in the hours, you feel like you’re not really accomplishing much each day. I’ve been there! 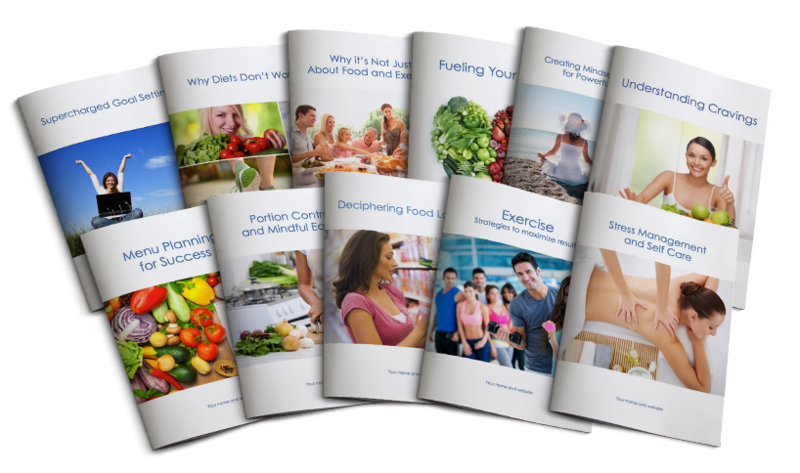 My first year as a health coach I was trying everything I could think of to get clients – kind of like throwing spaghetti at the wall. 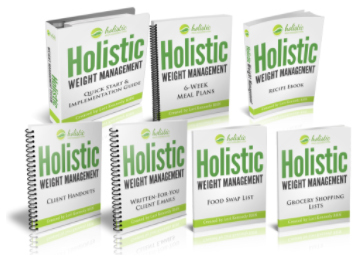 I was frustrated, and there were times I doubted if I could really make my health coaching business work. I knew I needed a change. Everything turned around when I hired my first business coach. She pointed out what I was doing that wasn’t working. She gave me a roadmap and a plan to follow. I knew what to focus on, and when, to get the best results. And it worked. And by-the-way, having a mentor is not just for new coaches. Even 12 years into this field, I’m almost always working with some type of mentor who can give me expert advice as I want to learn new marketing skills and strategies. Have you ever tried to write a blog post, but didn’t know quite what to say or how to say it? Staring at a blank page can feel like standing at the bottom of a mountain. I see this “blank page syndrome” come up for coaches who are trying to market their business. Whether it’s writing an email, blog post, social media posts, writing a talk, or website copy…They have a general idea of what they need to do, but no solid starting point to build off of. This not only makes it hard to move forward, but allows doubts to start creeping in. When you second guess yourself like this, you can end up spending weeks trying to finalize something, or worse, never finishing at all. Also, your self-doubt can creep into the way you market yourself and your true passion for health coaching may not shine through. That’s why in all of my programs, I always provide done-for-you templates, scripts, emails and resources that you can easily edit to fit your specialty and voila! It’s faster, it’s easier and most importantly, it works. Clients are always raving about the templates I provide. They love that I’ve taken the guesswork out for them. And I love doing it! MY job is to make YOUR job easier. If you’re in the situation I talked about above, chances are you feel like you’re wasting time! You’re putting in the work – early mornings, late nights after a long day at your day job, weekends, holidays – but you still don’t have the successful business you’d hoped for. Once again, this could simply be due to a mismatch in your strategies. But if you’re working on your own with no expert advice and no support, it’s difficult to figure out why things aren’t working. Wasting time with marketing strategies that don’t work is so deflating. I remember years ago feeling like I would never be able to figure it out, wondering if I should just throw in the towel. But really all I needed was a mentor to guide me. When I finally sought out expert advice, I was able to see how much time I was wasting on things that didn’t work. I eliminated those things, and honestly my business started to feel so much easier. I felt like I had HOURS back in my week because I could spend time on tasks that felt fulfilling… instead of working on draining tasks that got me nowhere. If I hadn’t gotten the guidance of a coach who knew my business, I don’t think I ever would have realized what wasn’t working for me. Those who publicly declare their intentions are four times more likely to complete their tasks than those who keep their tasks private. If you’re working on your own, you’re probably not sharing your goals or your progress with anyone. When you don’t have anyone holding you accountable, it’s much easier to procrastinate on the marketing. You didn’t get into this field because you love marketing. 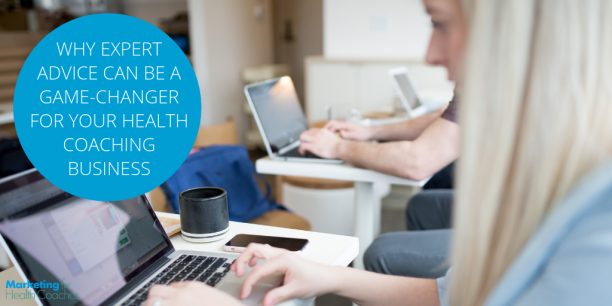 You became a health coach because you’re passionate about health and wellness. So, if you’re feeling uneasy or unclear about how to market your business, that’s probably the first thing to fall off your to-do list. When you work with a mentor who cares about your success, and is there to answer your questions, give you feedback, and encourage you every step of the way, you’re more likely to complete your work. You’re given the roadmap, you’re given the templates, you’re given the advice, and you’re given the human support. These four things combined are why your marketing is more likely to work when you get expert advice and work with a mentor. 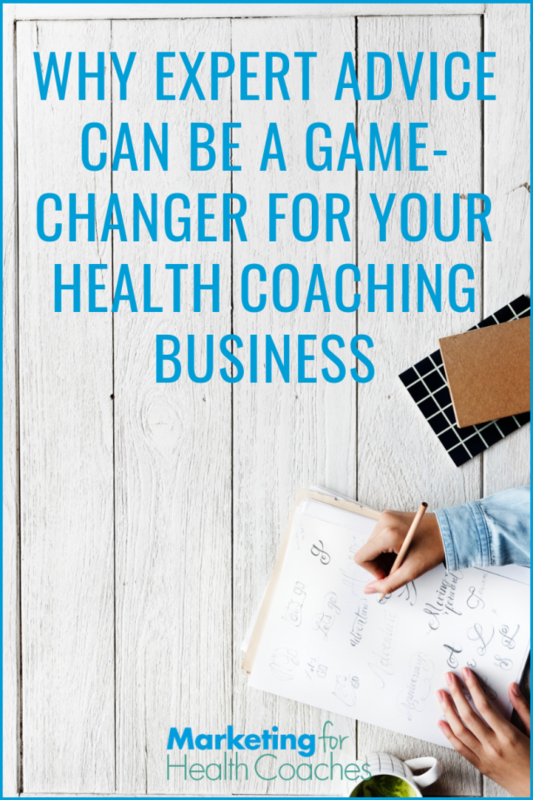 health coaching practice with new clients? Click here to get on a special list to be notified and get all the details in mid-October. Have you gotten support in your business? If so, how did it help? If not, what’s holding you back?